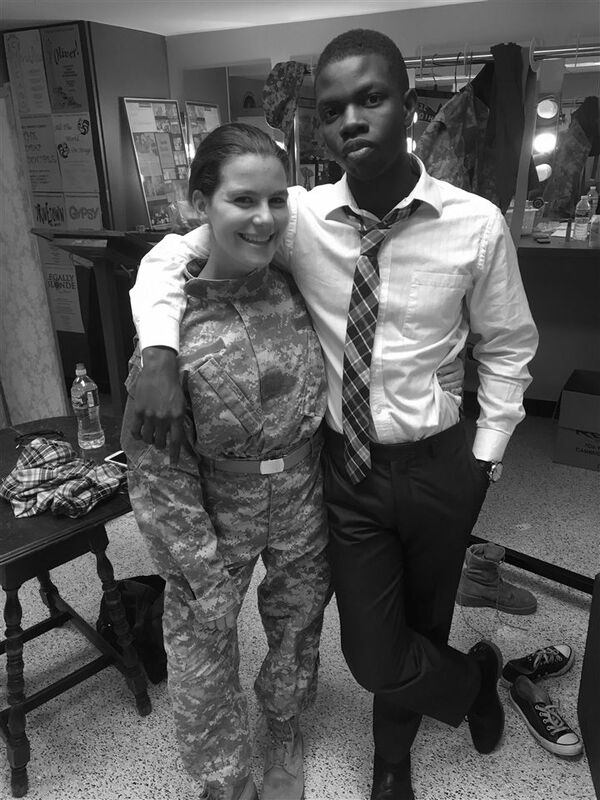 Zander Blitzer '18 and T.J. Bordeaux '17 pose after a performance of Othello earlier this fall. Just as the math, science, and humanities departments have opportunities for students to display their talents, the drama department now partakes in its own program. The Halo Awards, held every June at the Seven Angels Theater, celebrate and honor achievements of high school thespians throughout Connecticut. Representatives from the organization watch three of the plays at each participating high school in Connecticut and nominate actors, actresses, ensembles, and whole plays for a variety of awards. Students can be nominated and win awards in a wide array of categories. Last year Hopkins Drama Association was nominated for thirteen out of forty five awards in the following categories: Best Performance by a Featured Actor in a Musical, Best Running Crew, and Best Standout Performance in an Ensemble Play. The program proved to be very supportive to all of the students who participated in the three nominated shows last year: Legally Blonde, Twelve Angry Jurors, and Cymbeline. “The fact that all three shows we entered into the running for Halo Awards last year got nominated is a huge testament to the hard work and dedication that the cast, crew and directors put in,” said Georgia Doolittle ’18. “The nominations are what it’s really all about rather than winning an award. It’s really about celebrating rather than winning. That’s what we’re focused on here internally,” said Hartup. These awards are not about winning or losing, but rather about students supporting and celebrating their own work and the work of other schools. Hartup said, “When those performances happen, it doesn’t matter how good or bad their performance is, they get cheers. “There’s this understanding that you’re risking something going out there. It’s about community. I think it’s great for our kids to realize there’s this wonderful community outside of Hopkins that loves the theater and wants to validate what they’re doing,” said Hartup. The performances are not evaluated and the schools receive no feedback. Hopkins Drama Association plans to continue participating in this program, encouraging more and more drama students feel validated in participating in musicals and drama performances.